Michelle Koplan has spent her career working as a Jewish communal professional, in the Jewish camp and youth / teen field. A Portland native and graduate of the University of California Santa Barbara with a degree in psychology (1994), Michelle obtained her Certificate of the Executive Leadership Institute (a MBA equivalent program) through the Foundation of Jewish Camp in 2007. She directed the B’nai B’rith Youth Organization Portland and Eugene Councils for six years, and directed the Mittleman Community Center’s Youth Services Department for five years. Michelle has had the honor and privilege of directing B’nai B’rith Camp, her childhood camp, as the Executive Director since 1999. Michelle lives in the Portland area with her husband Loren and their daughters, Alicia and Elizabeth, who are all enthusiastic BB Campers. Ben first joined the BB Camp family in 2013 as our Judaic educator, where he connected with campers through his love for both Judaism and Camp. A native of Maryland, Ben spent eight years in Buffalo, New York where he received his bachelor’s and master’s degrees from the University at Buffalo in economics. Ben started his career as a middle school math teacher, and has also taught at synagogue schools, advised youth groups, and, of course, worked at summer camps. Of all his work experiences, Ben most cherishes his time spent with children who have special needs, both in classroom and recreational settings. When he’s not running around BB Camp having a blast with campers, you can find Ben on the basketball court, in his kayak, or rocking out to the Backstreet Boys. Bette has been a part of the BB Camp staff for the past 6 summers. She recently received her Bachelors of Science degree in behavioral neuroscience at Western Washington University. 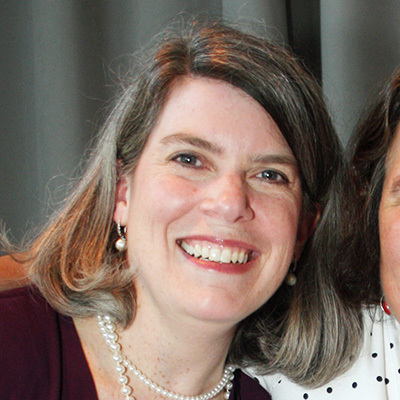 Since High School and continuing through college, Bette has been active in numerous Jewish leadership roles. Her Jewish leadership skills began to develop during her time in BBYO and BB Camp which is why she is extremely excited to be the Assistant Camp Director and BBYO City Director where she will work with kids in both organizations in their journeys to becoming Jewish leaders. Bette loves all activities involving water and kids, and Bette really likes traveling to sunny places! Aaron joined the BB Camp team in October 2015, leaving a 25 year career to pursue the next chapter of his life. Since joining the team, he has enthusiastically jumped into many projects. He and his team have been updating and beautifying the camp. He is very proud of the work that has accomplished. Aaron has always been a car enthusiast and spends his free time rebuilding his latest project. He is also an avid Harley rider and has rebuilt and custom painted it his motorcycle. Aaron has a 15 year old son that is a current camper and has attended. He also has two step children that are camper alumni and a daughter who has recently made him a grandpa of a beautiful baby girl! 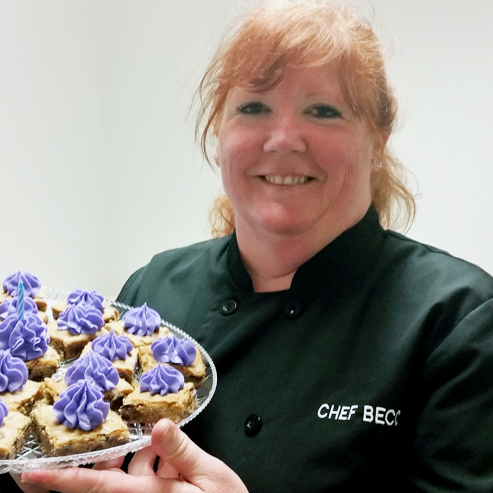 Becci graduated from Western Culinary Institute in Portland Oregon in 1995, with a Culinary Arts Degree. She knew from a young age that she wanted to be a Chef. She attributes her love for cooking with the time she shared in the kitchen with her grandmother. 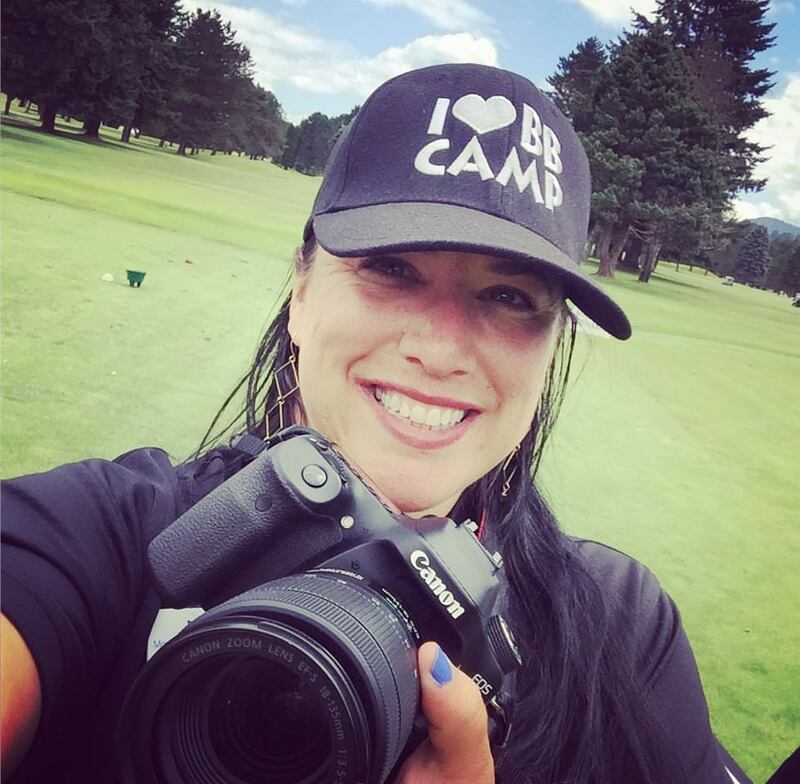 Becci has known since bringing her daughter to BB Camp in 1999, that it was a very special place and thought that this would be the ultimate dream job, matching two of her favorite things, feeding kids with Camp! She has three kids , two that have and one that currently attends BB Camp. She is very grateful for the experiences and opportunities that BB Camp has given her family and is herself grateful to be able to give back to BB Camp. Barb’s first experience at BB Camp was as a CIT in 1973, and she continued on as a counselor for the next 8 years. Barb attended the University of Oregon and worked in Residential Treatment at The Christie School for 20 years before returning to BB Camp in 2001. 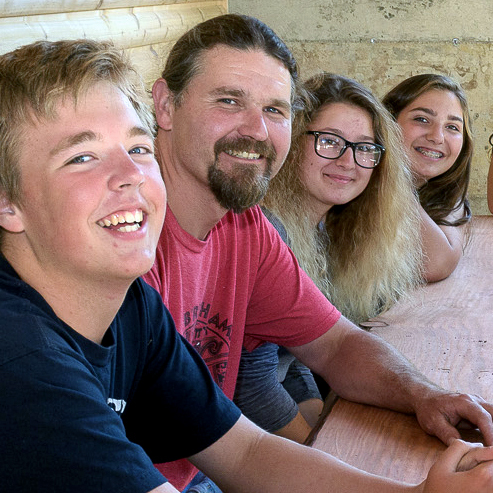 Barb met her husband, Randy, at Camp, and her children, Aaron and Leah, were long time campers and staff. For fun, Barb enjoys hanging out with her family and friends, camping, and playing with her dog Harley. Barb’s favorite quote is, “Be the change you wish to see in the world,” by Mahatma Gandhi. Jennifer brings to BB Camp 8 years of experience with accounts payable, receivables, and payroll. Jennifer also has a passion for art and connecting with kids. 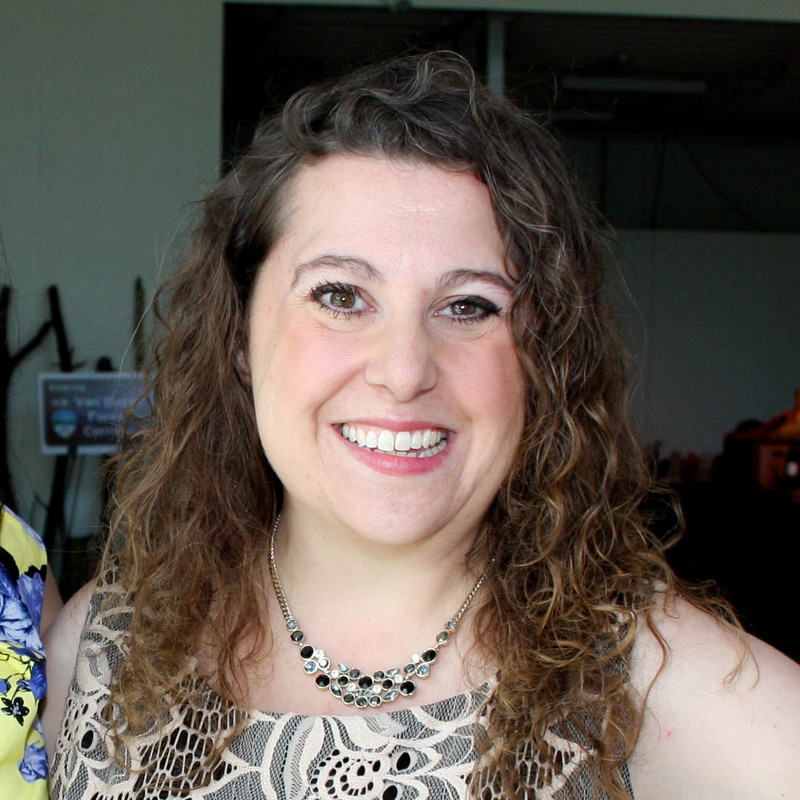 She works with the Tigard/Tualatin school district to organize their volunteer art program, bringing art classes to schools throughout the district. Jennifer also teaches painting classes to K-5 students throughout the Portland area. Allison earned her Bachelor’s degree in Finance from the University of Arizona. Prior to working for BB Camp, Allison was an analyst in the Mortgage Banking field for 13 years. Allison and her husband Jason have three beautiful daughters (who are now devoted BB Campers). Allison is also a Girl Scout troop leader and likes to bake, sew and play computer games. Lori has spent the last 17 years working for Not-for-Profit organizations in the Portland Metro area and has been an instructor for over 30 years. She not only is the Finance Director for BB Camp, but also teaches accounting at Portland Community College. Lori holds a masters degree from Marylhurst University in Finance and a bachelor’s degree from Regis University in Accounting. She is a CPA licensed in Oregon. In her spare time, Lori loves to ride her bicycle long distances with her spouse, quilt, scrapbook and walk with her rat terriers. She and her husband also are Harley riders and recently purchased a vintage bright yellow corvette. Stacey was born and raised in Portland. She received a bachelor’s degree at Brandeis University. After spending six months living on a kibbutz in Israel and traveling through Europe, Stacey returned to Portland to teach at Portland Jewish Academy. Stacey and her husband, Marshal, lived in Florida, Virginia, New York, Washington State and California, before returning to Portland in 2015. Stacey and Marshal have two children, Leo and Sarina, who like their mom, grandfather, and great-grandfather, are proud BB Campers!. Jacson Lee was born in Manchester, UK. As a child, Jacson participated in the sea cadets, which is where his love for water sports first began. He graduated from Lancaster University with a degree in computer science in 2018. While studying, Jacson worked at aquatics facilities during the academic year and spent his summers at BB Camp as a lifeguard, Aquatics Manager, and Aquatics Director for the summers of 2015-2018. It was his work with water sports and youth that led him to realize working with children in the aquatics field is how he wanted to start his career. Jacson now resides in Portland where he is embarking on a Practical Training Program in Nonprofit Management with BB Camp through the U.S. State Department. In his free time, Jacson likes to catch up with friends and explore his new city. Zach “Purple” Rattray has served as a counselor, unit head, zip line and challenge course instructor, and outdoor director for seven summers at BB Camp. His passion for youth development and creating a positive culture for children grew and developed at BB Camp. Zach took a brief intermission from camp life, and spent three years in Salt Lake City, Utah, working in 14 different elementary schools, focusing on creating positive school recess culture. When Zach is not focusing on youth culture, he spends his time climbing the various rocks that this beautiful country has to offer, or you could find him in the park playing music! 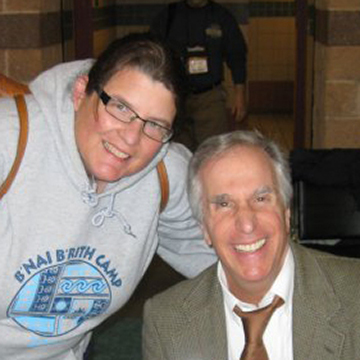 Aaron attended BB Camp from 1978 – 1985 and was a counselor in 1986 and 1989. Aaron credits BB Camp for inspiring him to attend the dual-degree Jewish Communal Service program at the Jewish Theological Seminary and Columbia University. Aaron has been in fund development for nearly 20 years including four at the San Francisco Jewish Community Federation and eight at Portland State University. Aaron was the founding Executive Director of the Greater Portland Hillel, and a founding board member of both the Jewish Theatre Collaborative (JTC) and Tivnu: Building Justice. Aaron is a Past President of the Association of Fundraising Professionals Oregon & SW Washington Chapter and an active member at Congregation Havurah Shalom. Aaron and his wife, Sacha Reich, are the proud parents of longtime BB Campers Lev and Ravit. Marisa was born and raised in Cleveland, Ohio. She received a bachelor’s degree at Indiana University and a Master’s in Social Work from Washington University in St. Louis. Marisa and her family relocated to Portland in 2015 from St. Louis, MO. 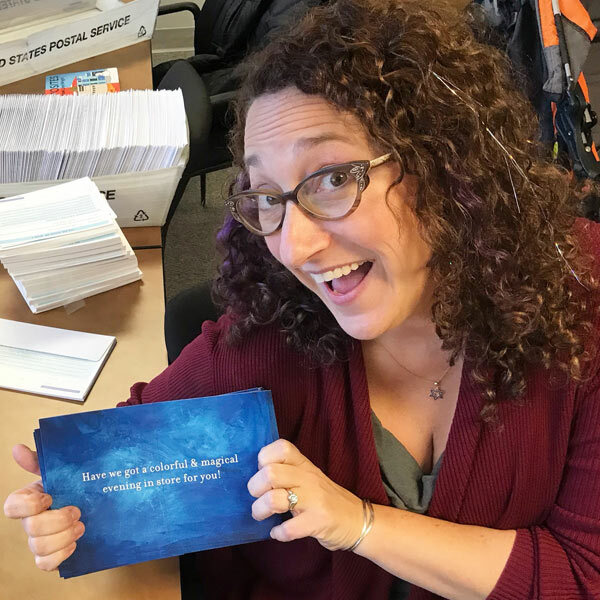 Marisa has been a Jewish communal professional for well over a decade and most recently worked at Congregation Beth Israel; where she and her family are actively involved. Marisa and her husband, Alex, are the proud parents of two future BB Campers, Micah and Noah. In her spare time, Marisa enjoys exploring the Portland area and the amazing restaurant scene. Born in Eilat, Israel, Noa is fluent in Hebrew and served in the IDF as a Computer Operator. Noa has a BFA in Photography from State University of New York at Purchase and a Certificate in Multimedia from Portland Community College. She worked as a photographer for Christie’s Auction House in NYC, taught English in Vietnam and Spain, and after moving to Portland in 2008, worked for various Jewish agencies. In her free time, she enjoys arts and crafts, photography, traveling, and competes in various paddling races. When she is not at her desk, you can find her hiking or paddling on her Stand Up Board on local rivers, or volunteering with New Generations Rotary Club, where she serves on the board. Max grew up in Phoenix, Arizona, where he learned from a young age that AZ summers were way too hot! Instead, he spent his childhood summers away at Jewish sleepaway camp. Working as a counselor he discovered a true passion for Jewish camping and working with kids. These formative camp experiences inspired him to join the Family and Human Services program at University of Oregon, in which he received a Bachelors in Science. 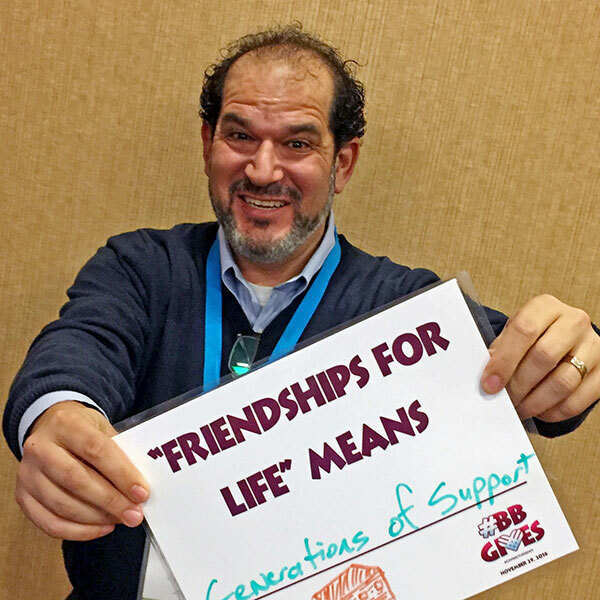 He began work as URJ Camp Newman’s Camper Care Coordinator, working with licensed clinical social workers to make camp an inclusive environment and a place for everyone. After graduating, Max worked as a Temple Youth Director and with Camp Newman’s Youth Engagement team in the Bay Area. Max has other interests besides camp! He loves music and spends his spare time singing and playing guitar or collecting records. He also loves rock climbing and slack lining. Shayna has spent most of her life in a camp environment through her involvement in Girl Scouts and working for multiple after school and summer programs. She graduated with a Bachelor’s of Arts in Psychology from Willamette University in 2013 and obtained her Masters of Social Work from Washington University in St. Louis in 2016. While in school, she worked for St. Louis Public School Districts’ Student Support Services department and coordinated after school reading programs. 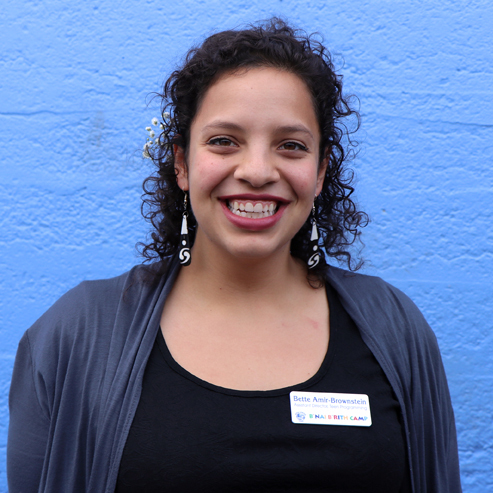 Outside of Camp, Shayna is very active in the Portland young adult Jewish community. In her free time, you can find her cooking Shabbat dinner, exploring the outdoors, seeing live music, and curling up with a good book.